First Edition published by Amber Quill Press/Amber Allure, 2012. 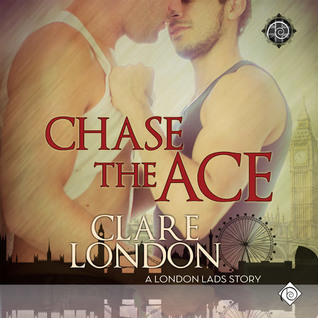 'Chase the Ace' is the first book in Clare London's series 'London Lads' and I can say without a doubt that these books can be read as standalones. Especially since I've read both book 2, How the Other Half Lives and book 3, A Good Neighbor years ago and while it has been quite a while I do remember the stories and there's really no connection between any of them other than location. 'Chase the Ace' is the story of Daniel Cross. Daniel is in his late 20s, newly single and curious about some good friends he'd had at summer camp when he was younger. There was a group of four of them and Daniel decides that he wants to track them down and see how they are...ok, there's a little more motive for his search than that but I'm not doing spoilers so you'll have to read the book. 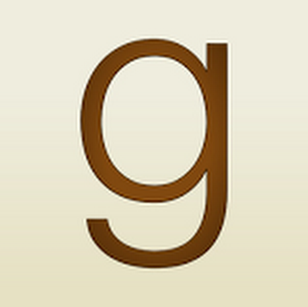 It's when Daniel starts chatting on Facebook with Nick Carson and they decided to meet to talk about old times that he discovers he's been talking with the wrong Carson brother but as they talk and get to know each other Daniel realizes that Nick doesn't mind at all and neither does Daniel. Plans are made and Daniel and Nick head out on a road trip to find Daniel's former camp mates. As they travel from place to place as well as learning more about each other, each man begins to find out more about themselves as well, but it's the end of the journey that will determine whether Nick and Daniel will continue on lives travels together or got their separate ways. 'Chase the Ace' is a short little to no angst story at just under 100 pages and less than 3 hours for the audiobook and I have to admit that was one of the reason I asked for it. I wanted a story that I could listen to in the morning while I had my coffee but something that had a sweet low angst story with a nice romance and this once covered all those bases nicely. Add to this the fact that Seb Yarrick was the narrator for this audio book and from the looks of things he's not only new to me but new to audiobooks in general as 'Chase the Ace' shows as being the only book narrated by him listed on audible.com and I have to say I'm impressed. I enjoyed his interpretation of the character voices for this one and he definitely held my interest and added depth to my impression of the characters as well. I know I'll happily be looking forward to future books narrated by Seb Yarrick. An audio book of 'Chase the Ace' was graciously provided by the publisher in exchange for an honest review. 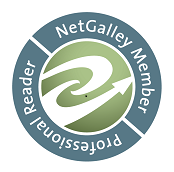 Buylinks are provided as a courtesy and do not constitute an endorsement of or affilitation with this book, author or booksellers listed.